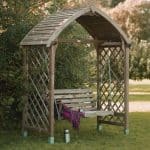 This delightful little garden arch looks great, and it has a number of features that really help you to make a perfect little spot in your garden even better. 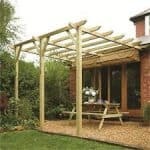 Maybe you want to use it as a partition point, or just a nice decorative aspect of your garden. Whichever you choose, it has tons of charm and a great price too. 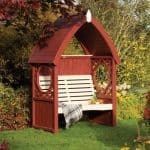 It’s a great little arch, and it could easily sit in any garden. 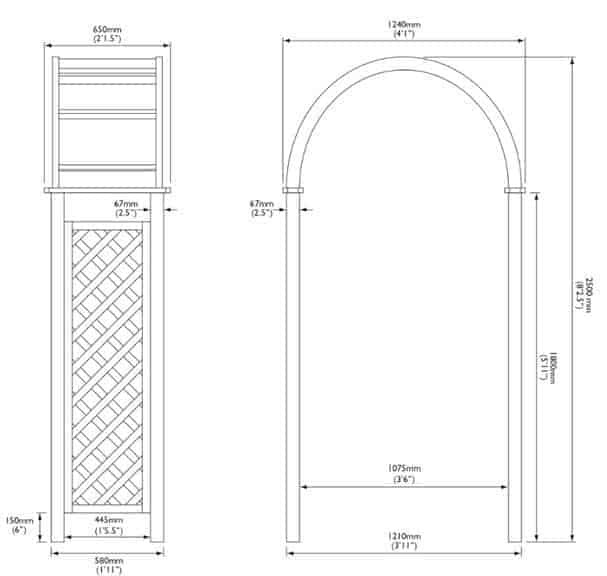 You’ll notice that the arch shape itself has a laddered effect to it, so you have an extra bit of style that really helps to lift the unit. We thought it was a neat touch that shows a little more craftsmanship than other arches we have seen. The intricate lattice work helps in the looks department too. It isn’t overdone, and it runs up the side of the unit very tastefully. What you may find is that you want to use some trailing plants to take advantage of this wonderful part of the unit. 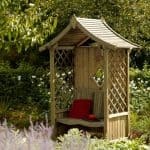 They would accentuate the great work that has gone into the trellis, and also ensure that you are able to make your own stamp on the piece. So first thoughts were good. It’s an attractive unit that should look great anywhere. But dress it with some climbing plants and some lights and you have an incredibly gorgeous part of the garden. Is there a guarantee? Yes, you get a 10 year guarantee on the product, and this is a solid guarantee that brings you peace of mind. This guarantee will be voided if you don’t follow the care guidelines that are given to you in the instructions. What is the arch made of? It’s a softwood arch. This wood is very popular, and gives you a nice smooth visual effect and feel. But on top of this it is sustainable. And the entire unit has timber that is pressure treated, which means you don’t have to treat the wood, and you still get timber that is resistant to damp and rot. 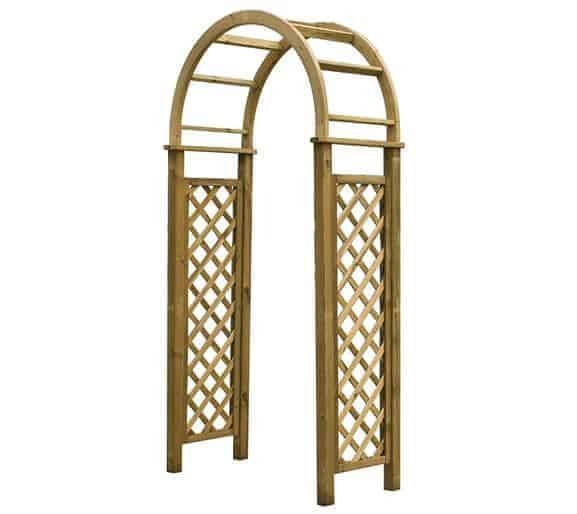 Blooma Chiltern Wooden Garden Arch 2.5 x 1.24 x 0.65: So what’s the quality like? For such a small item it is pretty robust. 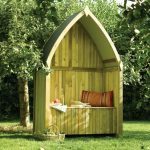 There is good timber there with the softwood, and the pressure treatment really makes for an excellent benefit, because you can leave the arch for years without having to worry about treatment. In the end, this is an inexpensive arch. 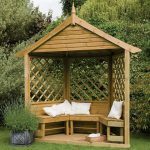 you may find a little niggle when you look closely at the trellis, because some parts are stapled, but that’s the price really. On the other hand, it’s tough and it doesn’t suffer in the damp. And it looks gorgeous too. 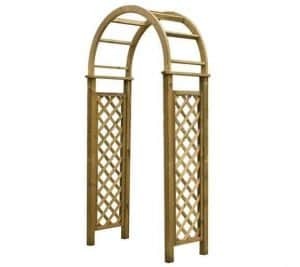 I bought this arch. My daughter insisted on buying it after watching Barbie Mariposa. We have a great garden and I thought our garden could use some great decorations apart from the flower pots and bushes we have. 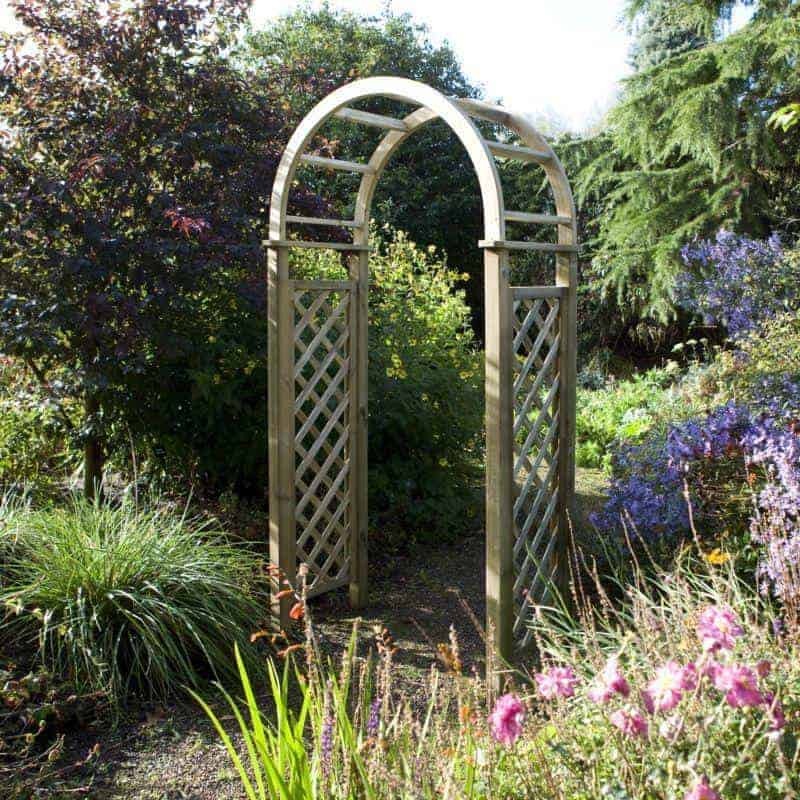 The garden arch gave the real look that we wanted in our garden blending perfectly with other plants. After few weeks, creepers were grown on then and now it looks so charming like a wreath placed in our garden floor. I love this arch so much and thank my daughter to have made me buy that. We are both so in love with this arch. This was the best purchase I have made in so long. My daughter is so impressed and loves showing this arch off to family and friends who come visit, who might I add love the arch too.